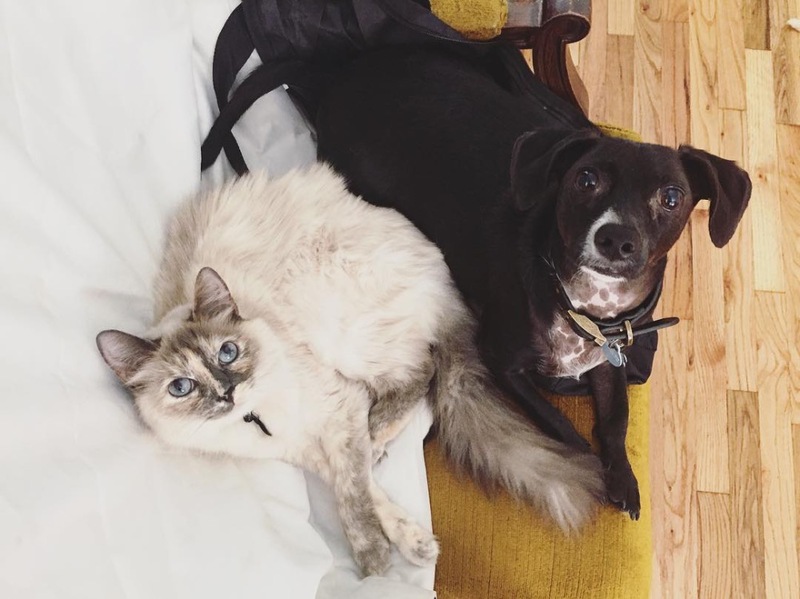 Fundraiser for Jessie Caballero by Nicola Behrman : Get Gus & Jessie To Their Wedding!! Get Gus & Jessie To Their Wedding!! HI GUYS! A PUBLIC UPDATE TO SAY THANK YOU THANK YOU TO ALL WHO DONATED AND NO NEED TO DONATE ANY MORE!! WE GOT GUS AND JESSIE TO THEIR WEDDING ON TIME, THEY HAD AN EXQUITE AND INTIMATE WEDDING, AND THERE IS NO DOUBT THAT EVERY SINGLE ONE OF YOU/US MADE THIS HAPPEN. THIS IS THE ABSOLUTE MAGIC OF A COMMUNITY OF PEOPLE COMING TOGETHER TO MAKE A MIRACLE. 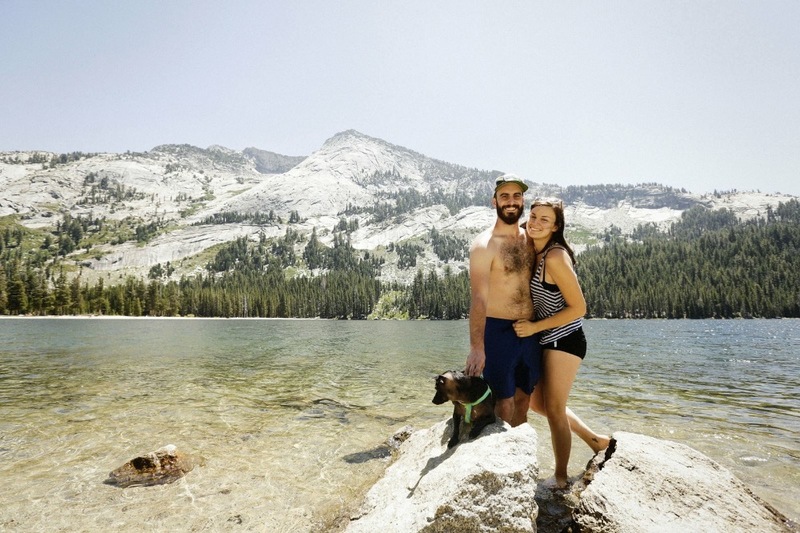 Our beautiful beautiful friends Gus and Jessie need our help getting them to their OWN wedding!! 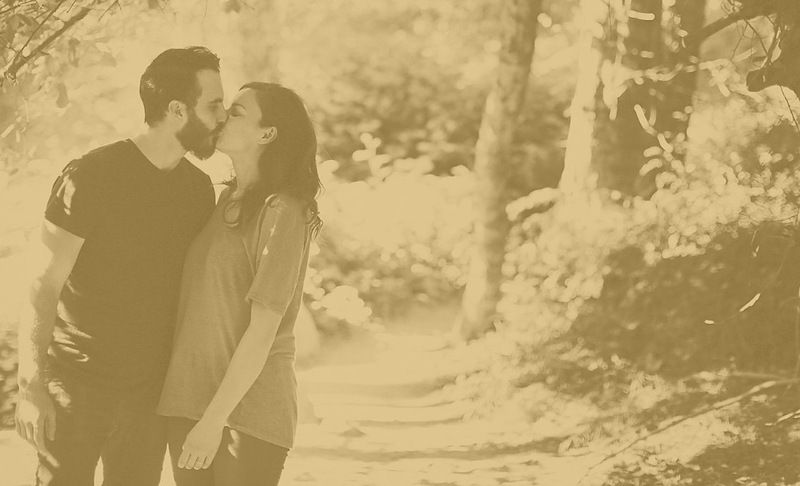 They are getting married this weekend on Friday 12th August in a forest in Seattle. 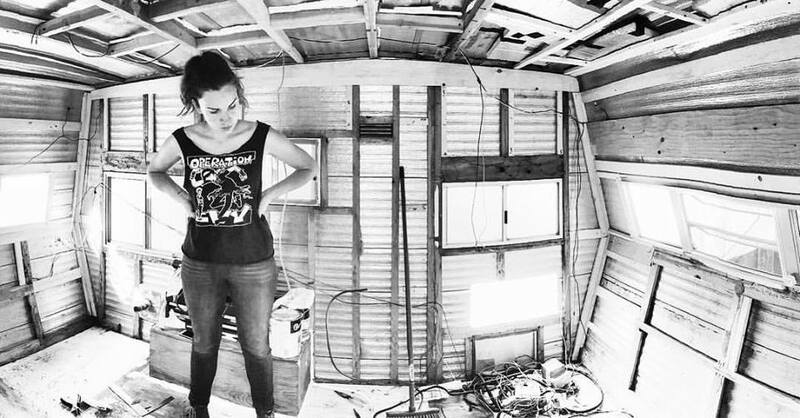 They have been preparing for over a year, lovingly restoring and rebuilding a trailer from the inside out to take them on this gorgeous adventure into married life. 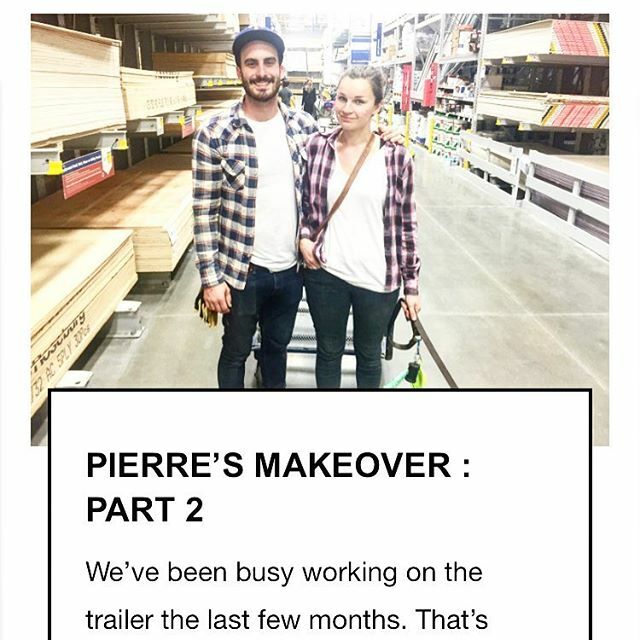 The Trailer is named Pierre. I'm not sure why. I will ask them when they are less stressed. But It's a great name. 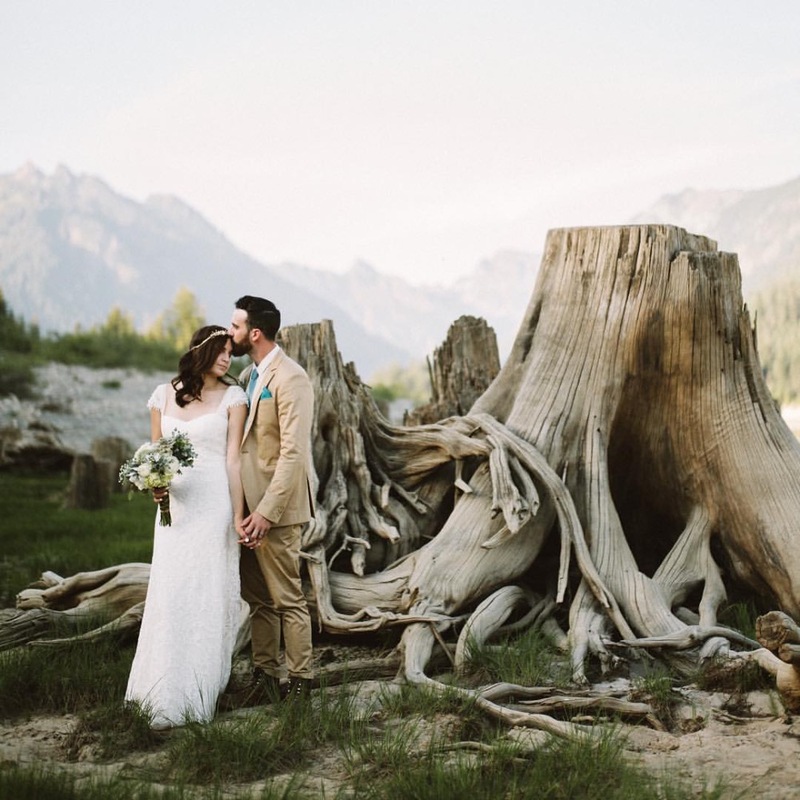 Gus and Jessie are from LA and have chosen to have a private and sacred Ceremony in the forests of Seattle, with just their officiant, a photographer and a videographer, filming the wedding. 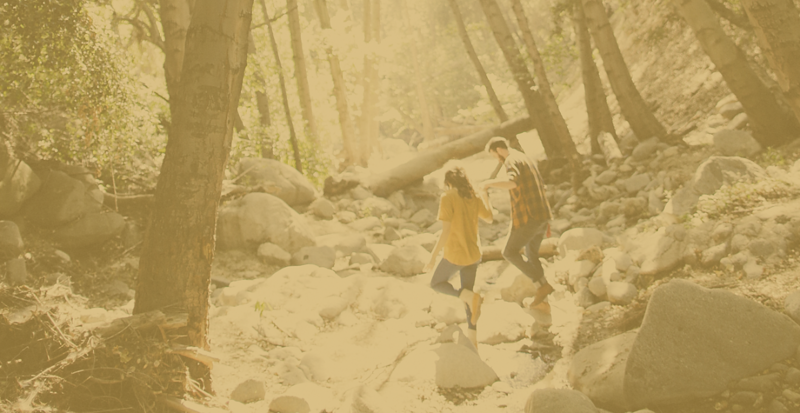 Then in the fall they are having a celebration in Texas for all their families and friends, where they will be screening the video of this weekend's Sacred Marriage Ceremony in the Forest. 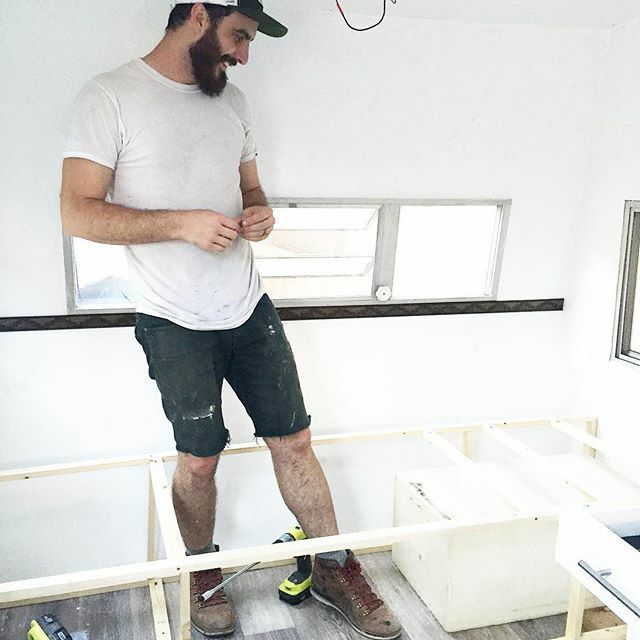 They have been working all year on this Trailer to enjoy during their wedding adventure. All year. 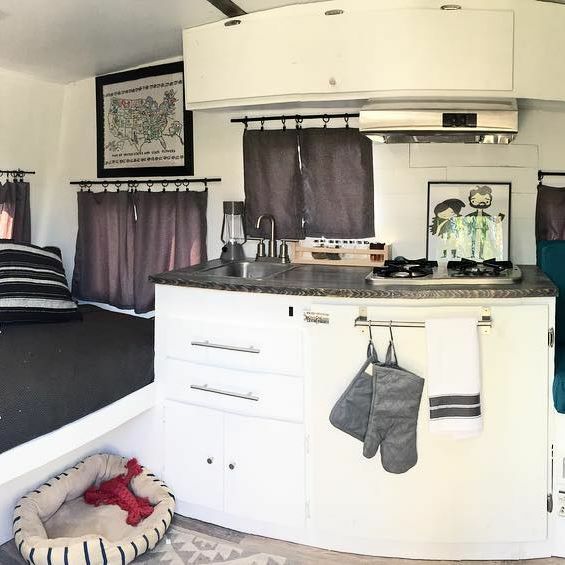 It's been a labor of love that they have been sharing with their community on their blog and on instagram, and finally finally finished it last week. It is so beautiful and so meaningful, with so many precious and special touches. Above their bed is a beautiful embroidered map of the US State Flowers that Jessie's Aunt Sharlene embroidered. Jessie posted a picture of it on facebook last week with a note that said that her Aunth Sharlene, who passed away last August, embrodiered this map of the US State Flowers decades ago and Jessie's mom and Aunt Joyce gifted it to her and Gus for their trailer. 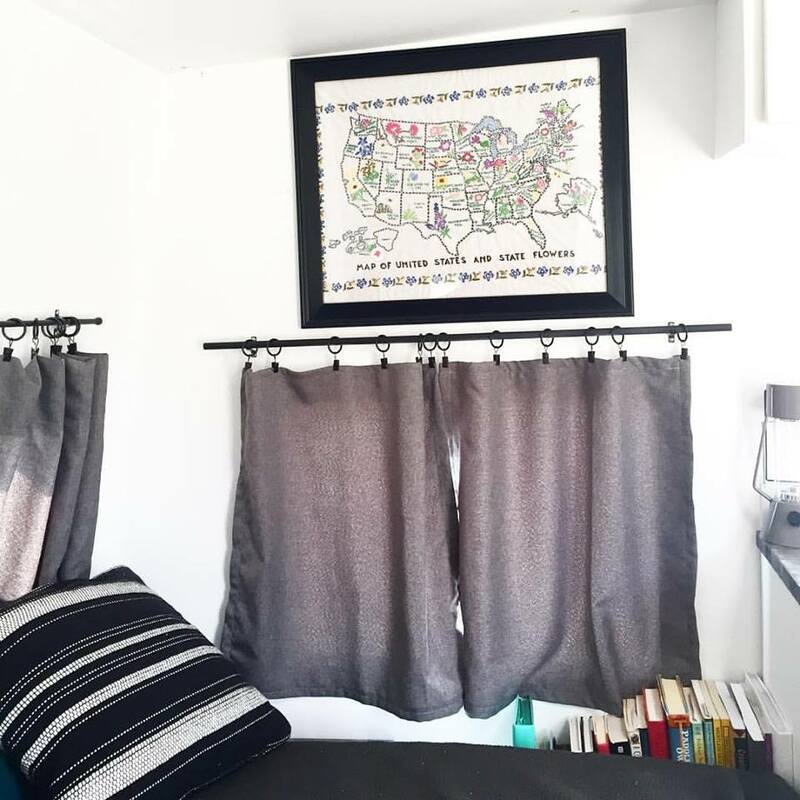 She said it was the first piece of art hung in their little house on wheels and they couldn't feel happier about it. And this below is the final finished amazingly awesome love-filled home that they built with their own two hands and set off in last week to go get married. But alas alas, 2 days ago they left for Lake Tahoe, on their way to Seattle, for their wedding this weekend, and 3 hours into the trip, calamity struck. Their SUV that they were driving overheated and the breaks on their car completely shut down while they were going downhill on a Mountain edge. Did I mention they had A TRAILER BEHIND!! The car had overheated and everything just stopped working. The brakes stopped. The engine stopped. Everything just stopped. While they were driving. Down a Mountain. They stayed calm. Amazingly. Survival instincts kicked in. (Thank you Evolution.) 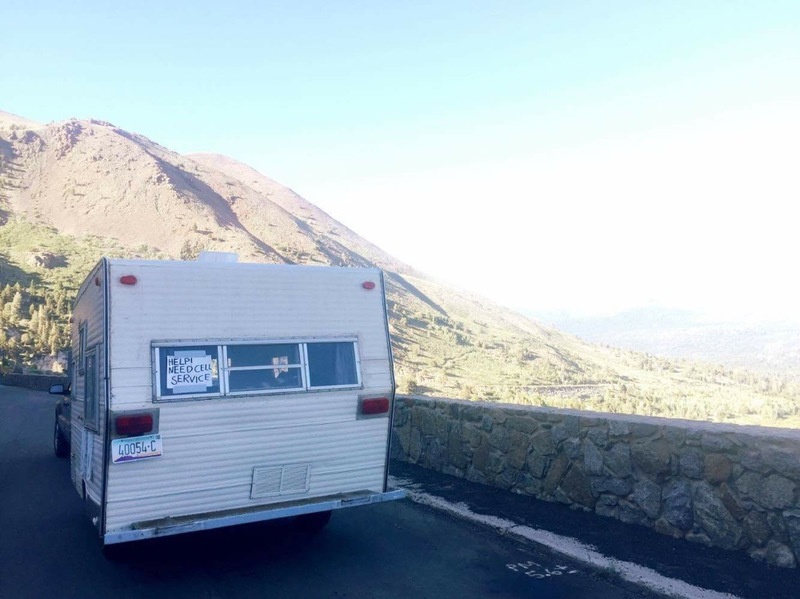 And as they were heading straight for a cliff, and Jessie saw Gus pumping at the breaks to no avail, she suddenly pulled the emergency break, and Gus somehow managed to steer the vehicle and the trailer to a pull stop on the side of mountain. Only then did Jessie let herself burst into tears. And finally got their car towed to a mechanic in Nevada, where they have been waiting and paying the past day and a half for it to be fixed. 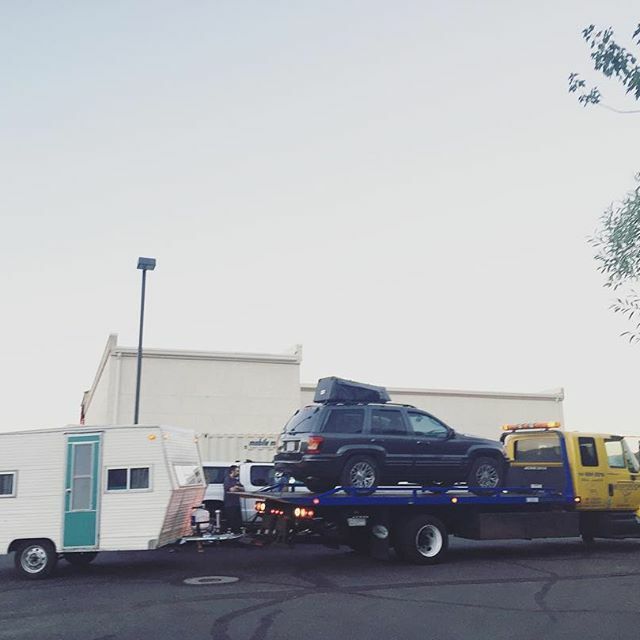 They have now found out that it's a problem with the engine that certainly can't be fixed in time for their wedding and may not be able to be fixed at all, so they are having it towed back to California. 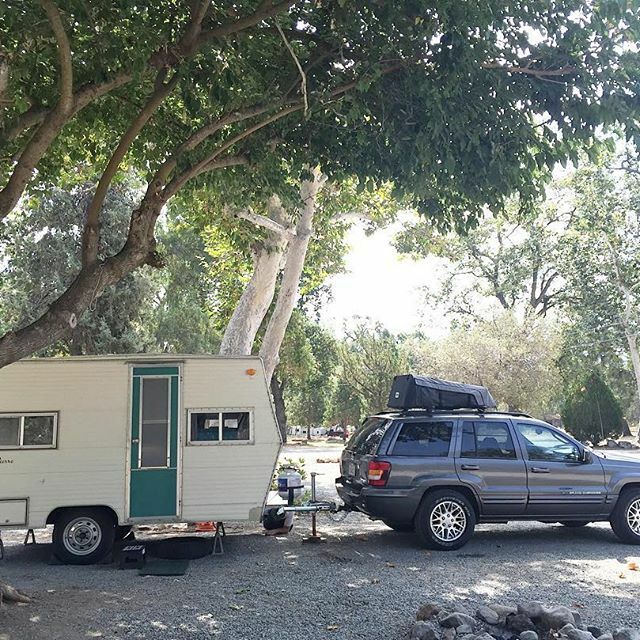 And now, three days before their wedding, they are essentially stranded in a parking lot in Nevada, with their magical trailer full of their things and their animal babies, when they are supposed to be on their way to Seattle to meet their officiant for their forest wedding. They tried to get a rental car but there isn't a rental car in the vicinity that can tow the wedding trailer, and their airbnb they have rented for their wedding night is a 12 hour drive from the parking lot in which they are right now stranded. 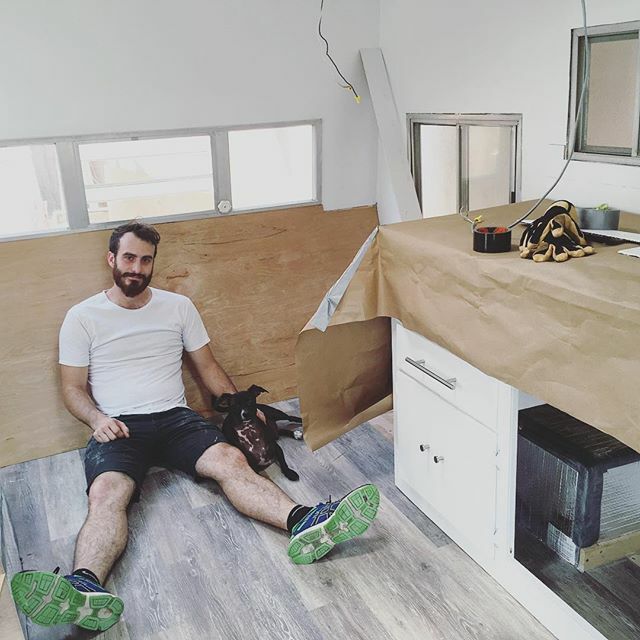 They and their little cuties (Scotty Pippen and Little Monster) are exhausted and trying to keep their spirits high, but this certainly isn't how anyone wants to go into a wedding that they have been planning and building for for over a year. At the end of the day, we are all grateful that they are safe and alive, as are they. And they are super humble and would never ask for themselves, but can we rally as a community, can we raise enough money to get them a car? Can we get people from every state, like the flowers from every state hanging over their bed, to come together and get them to the forest on time? Or can we find a car company that could come in and save the day and provide them with a vehicle to get to their Wedding? I believe in miracles. And I believe in Love. And I believe that when we come together, particularly to honor an important and sacred rite of passage like the marriage of two beautiful, kind people, we can make magical things happen. And then we'll all get to see the beautful video!!! Timing is obviously of the essence, so this is really a 24 hour situation. Can you share this now? With everyone you know??? Thank You Thank You Thank You!!!! From their hearts and from ours. Thank You. "So it's finally all over. We made it to our wedding and it was absolutely incredible. We will be closing our gofundme account because we received more than we ever could have imagined. We appreciate the donations so much. As stated before, costs will go directly towards the fees we paid for repairs, tow, and shipment of the jeep, and towards figuring out a car situation for Gus, and we will set aside a portion to donate to other gofundme accounts to pay it forward to other people in need. We wanted to say one more thank you to each individual we haven't had the opportunity to thank who came forward and helped us before the social media burst happened. It will be a novel because there are seriously SO many people who reached out. It all starts with Douglas the volunteer firefighter who helped get us off that mountain. He pulled over and told us he could call anyone we needed. He stayed with us for 20-30 minutes until a tow truck was confirmed for us. Then the tow truck company, George and Cammy of Woodford's tow, who immediately came to pick us up and took us to a mechanic. They even sent some of their drivers to look for Gus' wallet in the area where we think he lost it. To Seraphine, a dear friend, for saving us money on towing our trailer. To Jessica, the manager of Tires Plus in Gardnerville, and her staff: John, Jimmy, and Dennel, who not only spent all of Tuesday trying to figure out the issue with our jeep, but lended us their parking lot as a camping ground, giving us access to power and a bathroom. To Anytime Fitness Gym for letting us use their shower for free after being stranded for 3 days. To our families for checking in with us with possible solutions to our dilemma, doing everything they could to help us from afar, and for keeping us in their thoughts and prayers. To every single person who commented on our initial status asking for help and left us advice, tips, info, connections, etc. People we hadn't talked to in years, acquaintances, old co-workers. To Ryan C, Aubrey P, Danielle S, Holly H.W, for directly reaching out to us informing us they were near our area and offered us rides or tows if we needed anything. To Nick B, who tried to see if he'd be able to help get the jeep off of our hands through the auto auction company he works for. To Jay, some random guy with a garbage truck who helped flipped our hitch at 5 in the morning when we had no tools to do so. To all of the comments and messages we received from people on social media offering their services to help ease our stress. To each and every single donor, most of whom are complete strangers, who really didn't have to do what they did but it will all make our lives a little easier when we get back to LA and have to deal with our car. To everyone who shared our story/gofundme page. To Jon P, one of my oldest, closest friends living in Seattle, who dropped everything and drove up to our wedding ceremony location last minute to take our officiant to the airport when we couldn't find a Taxi or Lyft in the area. And of course, to everyone we've thanked over and over involved with the creating the gofundme account, social media out break, and getting us a car. Nicola, Rakesh, Azita, Erica, Sophia Bush, Kate Walsh, Constance Zimmer, Marc Dumor, Alex, Audi, Enterprise, and Hertz. I think that's everyone and hope we didn't forget anyone. It's felt like we've been crowdsurfing to our wedding, just one person passing us off to the next. It would be impossible to forget the events of this past week. It's been a roller coaster of a ride and we're kinda glad it's over. We're ready for things to wind down and return to our normal lives, haha. You are AMAZING. Truly Amazing!! And when I said that I believed in miracles and the miracles that can come forth when we come together, I was not joking. And we witnessed a beautiful miracle today. A note from Jessie below that explains how it all unfolded. And know that every single one of us here has now blessed and has also been blessed by the wonder and the magic of this marriage. A wedding is a sacred rite of passage that is witnessed by a community, and this Union has been witnessed far and wide by a group of incredibly beautiful and very open Hearted People. 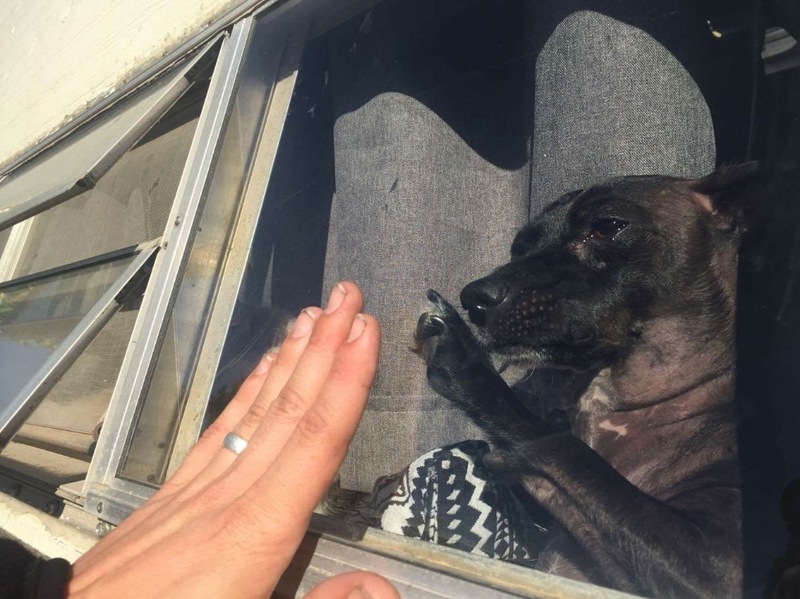 "We want to thank each and every one of you who has reached out to us offering a helping hand, whether it's offering suggestion, offering rides, offering tows, offering love and support, or offering money. Your donations will help us pay for the damages to our jeep, the cost of shipment, and any future expense towards either fixing the jeep or getting Gus a new, more reliable car. We are absolutely taken aback by everything that's been happening today and truly cannot find the words to express our gratitude. Thanks to the help of Nicola and Rakesh for creating this gofundme page that spread to Azita and Erica who reached out to Sophia Bush who called upon several car rental and auto companies. Audi has graciously offered us an SUV to take with us for the remainder of our trip. Not only will this get us to our wedding, but it will get us back home and give us the opportunity to have the honeymoon we originally dreamed of. Thank you Audi. Thank you Sophia. Thank you Azita and Erica. Thank you Rakesh. Thank you Nicola. Thank you to everyone in Gardnerville who have been nothing but accommodating. We will be releasing a letter later after all of this over personally thanking everyone we've met on this journey who has greeted us with hospitality and selflessness. We can't thank you enough." -Jessie. Bless You all, Beauties. Truly. May you know and receive more and more magical moments in your own lives. Let's all toast to Love tonight. Margaret Mead would be proud of us all today. If you read the article you would understand it wasn't for their wedding, which in their case was an intimate elopement between the two of them, and was actually in fact to help them make it to their destination to tie the knot after a terrifying instance when their jeep stopped working. Also, this go fund me was not even set up but jesse or gus, they didn't ask for money ONCE. They're actually planning on donating a portion of the money raised to other go fund me accounts in more dire circumstances. Just thought I'd clear that up. Anyway, congrats guys! Glad everything worked out, it's nice to see a childhood friend finding their happily ever after! We don't care what Tony has to say or that you agree with him! We can spend our money and give to whom ever we chose. We can help those we feel like helping and not help those we don't want to help! That's what is so great about living in the USA! Freedom and the right to choose. I hope this couple had an amazing wedding day and may your life be filled with Gods many Blessings! Thanks to all those who chose to give to this amazing couple.... Congratulations to the happy couple! I would suggest we need to have some "criteria" at gofundme site and AUDIT happens before one can post a campaign. IT IS SAD TO SEE WE DONT UNDERSTAND WHAT PAIN WORLD IS GOING THROUGH! It is your choice or not to donate to gofundme pages. What is your comment hating this page going to do? I agree to what Tony capagrossi feels. My comment is besides the point by now, but really? do these people commenting do any reading or research? Tony Capagrossi and Mohammed Raja, this campaign was not to pay for a wedding. This couple had a private ceremony in the trees with only a photographer and a minister. They had a horribly scary incident while driving to the wedding location that almost put them over a cliff and left them stranded hundreds of miles between home and the wedding. 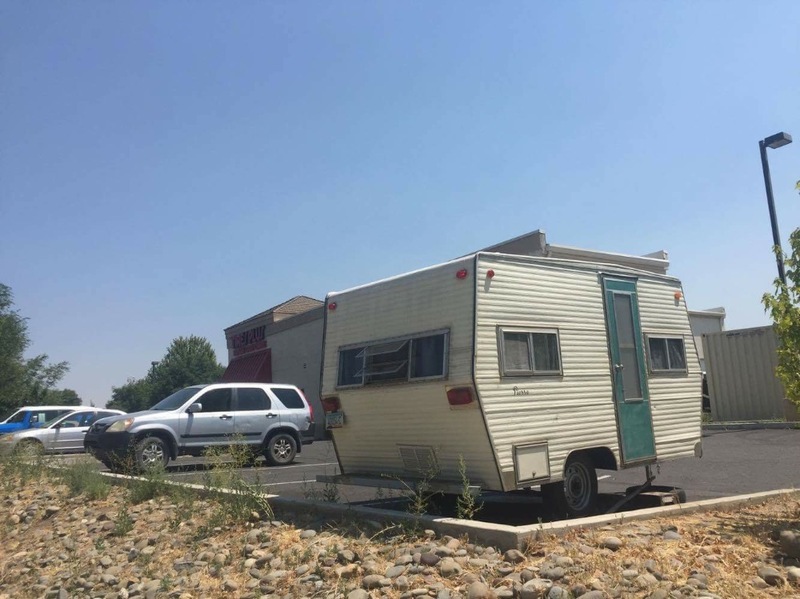 They did not ask for public help, but their friends put up the gofundme to help them get their car home and tow their trailer... Some television people found out about it and used their followers to help them get a rental car and the rest was done by those of us whose heart and imagination were caught by the fairy tale of it all. Here is the thing, Gofundme is a choice, people can ask for whatever they want and donors CHOOSE who gets their money. You don't have to participate, but I would suggest that before you make nasty comments, you at least know what you are talking about. This is unbelieveable, my niece is left in a wheelchair for the rest if her young life, while these 2 get money for wedding travel, and yet gofundme will not share her gofundme account. Wheres the logic in this?? There are 4 things you must never do: lie, steal, cheat, or drink. But if you must lie, lie in the arms of the one you love. If you must steal, steal away from bad company. If you must cheat, cheat death. And if you must drink, drink in the moments that take your breath away... Congrats! What a great story to start your life out together. Best wishes!